Shakespeare once wrote, “What’s in a name? A rose by any other name would smell as sweet.” Names are important; it is not just a matter of semantics. That is especially true of the types of integration an organization may need. Are you confused about integration terminology? If so, it is likely because people use terms interchangeably when those terms actually refer to significantly different things. For instance, there are three types of integration: business, system, and data. While these terms are used interchangeably by some, they do not mean the same thing. Read on to learn what the differences are between these types of integration and why it matters. Business integration is also known as B2B integration because it connects more than one firm. The foundations of business integration stem from companies needing a way to exchange information quickly and efficiently. Over the years, business integration has evolved into EDI, though that has by no means been the only significant development in the space. The Internet, XML, web services, SOA, business process management, and SaaS have all had a positive impact on business integration. They have made it faster and easier for companies to exchange information with one another. What does business integration look like in practice? Let's illustrate with an example. Many companies receive purchasing orders electronically. A business integration solution allows you to process those purchase orders in real time. Prior to business integration, processing purchase orders was a manual affair. You might have received them by mail, by fax, or, in the 1990s, by email. An employee had to review them and enter the information into some type of order fulfillment system. Now, a business integration solution receives purchase orders and automatically passes them along to the order fulfillment system. There is no more waiting for orders to be fulfilled. Better yet, there is no more uncertainty on whether orders were even received. When other companies submit purchase orders, they can see whether those orders have been received and processed. The benefits visibility and transparency offer are huge; with modern B2B integration, you save time, effort, and money. What are real-life examples of system integration? Let’s say you would like to integrate your CRM, accounting system, business intelligence tools, supply chain management solution, and human resources applications, these systems can reside in multiple locations. To integrate these systems, middle-ware is used to allow messages and data to flow between the systems and integrate the data. While system integration might seem cut-and-dried, there are a few approaches to it. There’s horizontal integration, vertical integration, star integration, and common data format. Horizontal integration (also known as an enterprise service bus) involves the creation of a unique subsystem that serves as the single interface between all other subsystems. This ensures there is only one interface between any subsystem. It can be replaced with another interface without affecting the others by using different data and interfaces. Through the vertical integration approach, subsystems are integrated according to functionality. You create silos of functional verticals from the bottom upward. The advantage to the vertical integration approach is that it is quick because it only involves a few vendors and developers; however, it becomes more expensive over time as you must create new silos over time to implement new functionalities. Star integration, also known as spaghetti integration, connects each subsystem to multiple subsystems. The diagrams of these interconnections are supposed to look like stars, though the more subsystems you add, the more it looks like a plate of spaghetti. When you use the common data format, you do not have to use an adapter to convert to and from every application format. Systems that use this method set a common or application-independent format. Another possibility is that the system provides a service that transforms an application into the common application. You will generally perform data integration in data warehouses. It requires specialized software to host large data repositories from internal and external sources. During data integration, the software extracts, amalgamates, and then presents the information in a unified form. What is a good example of data integration? We will use the instance of generating a report. Let’s say you want to combine information from a few departments to present a coherent picture of your company’s performance. You would use data integration software to extract that information from various databases. The software would consolidate that data in a way that makes sense. Finally, it would produce a report with that consolidated, logical view. Decision makers could understand how the numbers fit together to make the right choices for the firm’s future. Why Do These Definitions Matter? It is important to understand the distinctions between business integration, data integration, and system integration because you want to make the right choices for your company. You might need only one type of integration, or perhaps more than one type of integration is required to meet your needs. Let’s say you want to implement a business integration solution. You want to exchange information quickly and easily with your trading partners. To share that data with others, you must bring it out of the silos. That is where system integration may come into the picture. 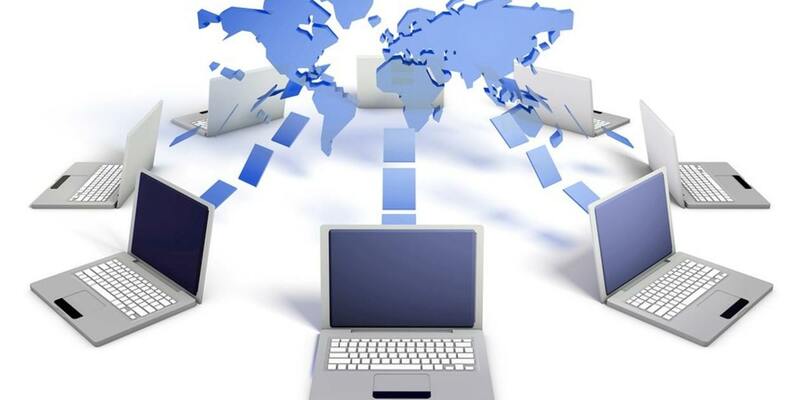 It allows your data to be shared between systems so the business integration software can access it and pass along what is necessary to your trading partners. What if you want to gain a deeper understanding of your information? Data integration is the tool of choice. It extracts the right data and incorporates it into a format that allows you to analyze it. How Do I Know Which Type of Integration Is Right for My Company? The question above does not have one answer. It will depend on your company’s individual needs. You might understand what your firm needs to be competitive and to be a trading partner with which others want to do business. However, it can be a challenge to meet your company’s demands. What can you do? You can handle the integration(s) in-house, either with or without a consultant. Or, you could turn to a consultant who can handle the entire project for you. How do you find the right consultant for your company? It is tempting to make the first criterion cost; your budget is limited. However, while cost is crucial, it is not the only factor to consider. You want a consultant with a long track record of success in your industry and working with companies of your size. That history means that the consultant understands what you do and most likely know what kinds of workflows you are using. REMEDI has a strong vetting process that successfully matches consultants with your project to ensure you get the knowledge you need for your project. The right consultant also has a philosophy of working in the client’s best interest, not in his or her own best interest. Your relationship with your consultant is not based on how many billable hours he or she can earn; it is about making your company a more efficient, competitive firm. The consultant wants to create a relationship with you over the long term. It should be about more than a short-term project. Additionally, the right consultant will not dismiss clients’ concerns. If you have questions about security, the consultant will take time to answer them fully. He or she will not simply pay you lip service; rather, your consultant wants you to understand the situation fully, so you can make the right choice. To choose the right integration for your firm, you must understand what is out there. To learn more about data integration, business integration, and system integration, contact us today.